BYS: COLLAB PROJECT: To B.A.P, with love. Send your fanletter to B.A.P for Live On Earth USA! COLLAB PROJECT: To B.A.P, with love. 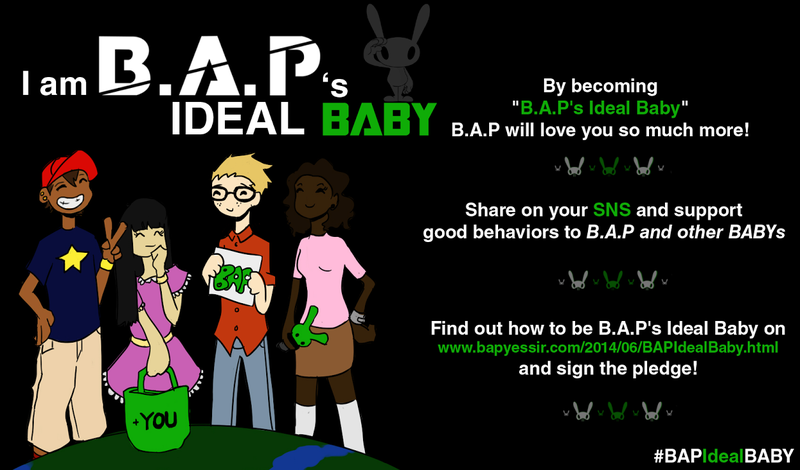 Send your fanletter to B.A.P for Live On Earth USA! 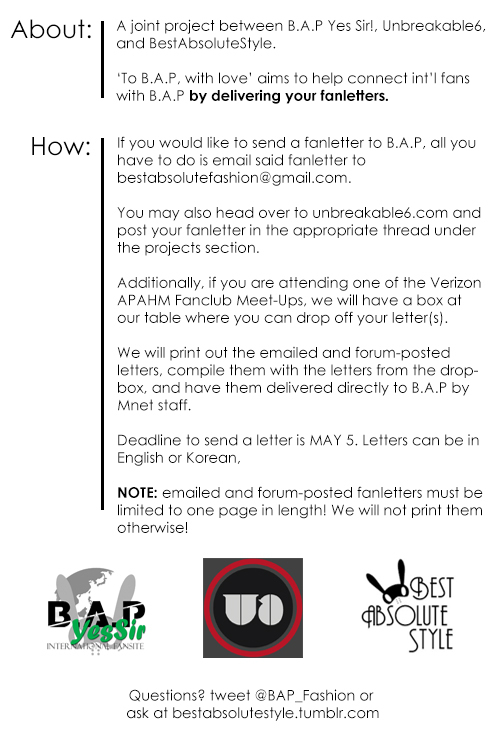 Thank you to all who submitted a letter for B.A.P! If you are attending a Live On Earth USA Pre-Show Meet-Up, you can also give us your letter at our booth and Mnet will deliver it to the boys! You can also send your fanletter to bysfansite@gmail.com with the subject "Letter"
If you have any question, you can either ask BAS or a BYS admin through ask.fm/bysfansite (English, French, Spanish, Chinese, Japanese). Can i take a photo of the letter?